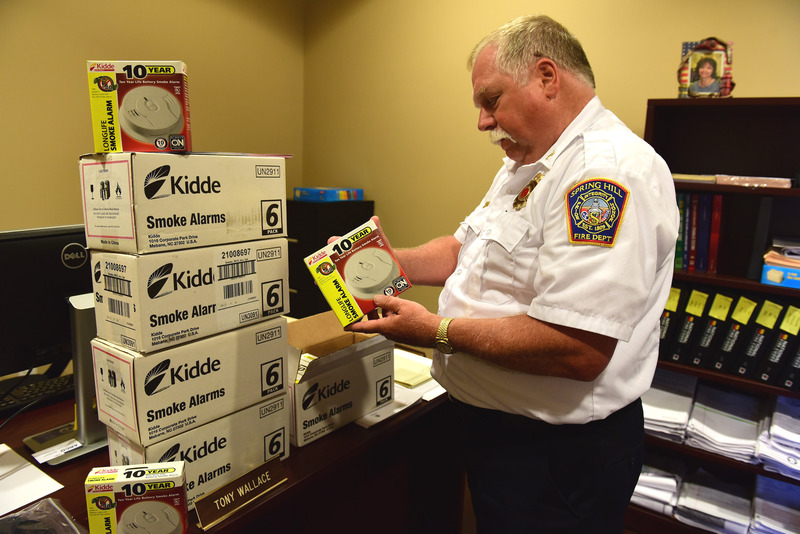 The State Fire Marshal’s Office recently presented Spring Hill Fire Department with over 100 smoke alarms to be installed in high-fire-risk homes in Spring Hill. The smoke alarms are equipped with a 10-year battery, allowing homeowners the convenience of not having to replace batteries during that time. Our Spring Hill Firefighters will install them at no charge throughout the house, including in sleeping rooms, hallways leading to sleeping rooms, and in the living area away from the kitchen.